Good Morning Everyone! My Fantastic Friday Share is a Spring Tea Bag Holder created with the Stampin' Up! Tea Together stamp set and coordinating Tea Time Framelits Dies. Inspired by Jenny Hayward, I changed the stamp and a few other details for an alternative project. I used the Envelope Punch Board and the Gingham Gala 6” x 6” Designer Series Paper to make the Tea Bag Holder base, then I stamped the Tea Cup and adhered it to a Pearlized Doily. Did you notice how I used the Coffee Cups Framelits to add the matching Tea Bag Tag? Finally, I embellished with Polka Dot Tulle Ribbon. I love how all the elements came together. 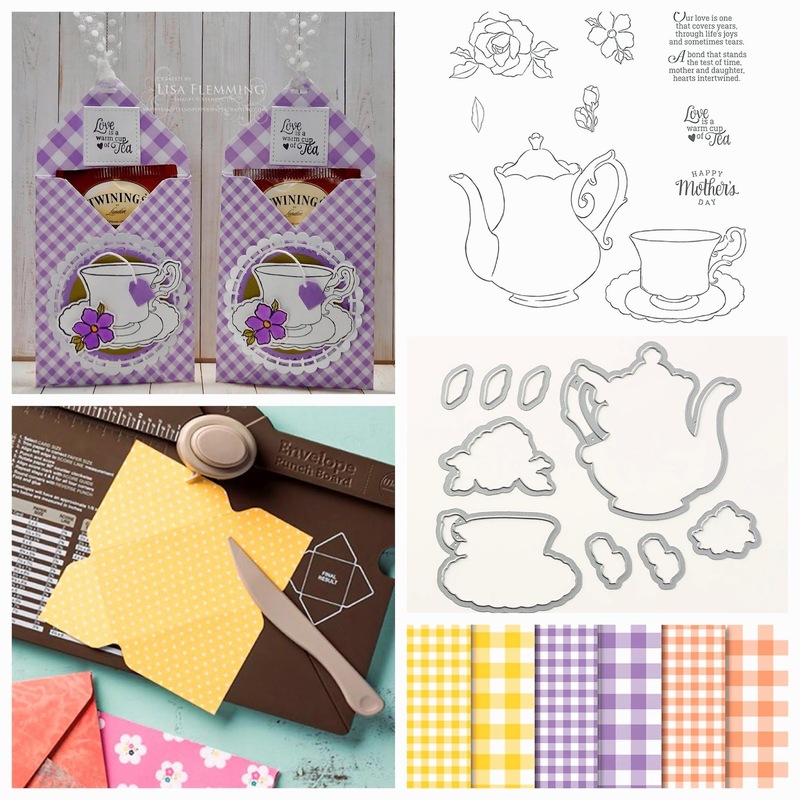 Don’t forget March 31, 2019 is the Last Day to earn the Tea Time Framelits Dies FREE during Sale A Bration!